Answer the 11 questions chosen by the person who nominated you. Go to their blog and inform them. 3. I participated in a film making competition last year with my friends and we got into the nationals and got nominated for 4 awards. We won the award for best use of line. We have entered it again this year and are waiting to see if we are nominated for any awards. 4. I have never had any injections, never broken any bones and never needed surgery. 1. If you could have dinner with one character from your favorite book, who would it be? Why? I would be Rose Hathaway because she so badass and she is just such an amazing character. 2. Do you prefer hardback or paperback? 3. Which author would you want to be best friends with? Why? 4. What's your favorite book to movie adaptation? 5. Which book do you want to see turned into a movie that hasn't been yet? Why? Anna and the French Kiss because Oh my goodness it would be so cute! 6. What book has had the biggest impact on your life? Why? hmmm that's a hard question, I think every book has an impact on your life because they all make you think about different things but the book that has made the biggest impact on my life would be vampire academy because its what made me want to write. 7. You get one week to do whatever you want. Money isn't an issue, and there are no consequences for what you do. So, what do you spend your week doing? 8. What's the one place (real or fictional) that you want to runaway to? 9. If you could only read one book for the rest of your life as many times as you wanted, which one would you pick? 10. You get to have one super power. What's it going to be and why? Power absorption because you can use any power you want.. like warner in the shatter me series. 1. What is your favourite childhood book and why? 2. What is a bad book habit that you have? 3. Have you ever tried to write your own novel? 4.What is a book that you thought you would love but really did not like it? 5. Do you read a book all the way through even if you do not like it? 6. What is your favourite book cover and why? 7. If you were to write a book what would the title be and why? 8. What character from a book do you think you are most like? 10. If you could have any guy from any book as your boyfriend who would you pick and why? 11. What is you go to book to make you feel better? Labels: 11 facts about me, 11 questions, Books, Christian, deslyixic, hate sharks, I love books, Liebster award, vampires or werewolves? Thanks for the nomination! You made my day. I have to work on my questions. HUGS! 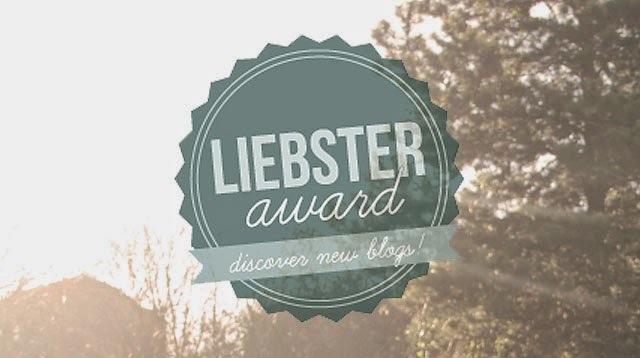 I decided to answer your questions here since I don't have enough people to tag for Liebster award. - Any book by Dr. Seuss and Archie Comics. :) It's hard to explain how much I love it. - I tried but stopped. I wrote a short story though. - Fifty Shades of Grey by E.L. James. Damn the hype. - Yes. The Boy Who Sneaks in My Bedroom Window by Kirsty Moseley. Eventually it's a 1 star for me. - Kissed by An Angel by Elizabeth Chandler. I love how the neon colors blend in black background cover and it's simple. - Omg lady, this is hard. I have a lot....but I would pick Four from Divergent. So I would be Tris? lol just kidding. I picked him because he is kickass and romantic at the same time. - Hmm... what do you mean?